NEW YORK: PRWeek held its annual awards event last night honoring Zeno Group as PR Agency of the Year; Marian Salzman, president of Euro RSCG Worldwide PR, as PR Professional of the Year; and the Boston Police Department as In-house PR Team of the Year; among many others. "It goes without saying that we're absolutely thrilled," says Barby Siegel, CEO of Zeno Group. "It shows that our model is working. Even as we grow we will never stray from our entrepreneurial spirit, culture of collaboration, and practice of giving clients the best senior talent. And none of this would have been possible without our amazing client partners that trust us with their business." 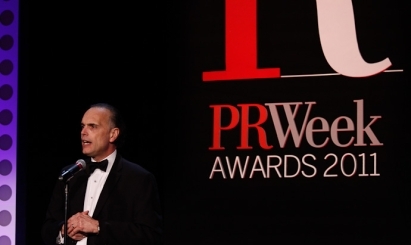 Ketchum took home the PRWeek Campaign of the Year in its third consecutive win in the category for its work with Mattel on a campaign that let consumers determine a new career for Barbie. The campaign also won Product Brand Development Campaign of the Year. Ketchum was also the winner for the for Consumer Launch Campaign of the Year for its work with Absolut Vodka on creating “The Stoop Life Movement” campaign that launched Absolut Brooklyn. The Global Campaign of the Year award went to GolinHarris and Dow Chemical for their campaign to raise the global profile of the necessity of water and the nearly 1 billion people who lack access to it. Individuals honored with awards included Alyssa Vande Leest a student at the University of Wisconsin in Madison, for PR Student of the Year and Andrew Testa, account executive at Coyne PR, for Young PR professional of the Year. Agency winners were Kwittken & Company as Boutique PR Agency of the Year; Mitchell Communications Group as Small PR Agency of the Year; Zeno Group as Midsize PR Agency of the Year and PR Agency of the Year; and Edelman as Large PR Agency of the Year.